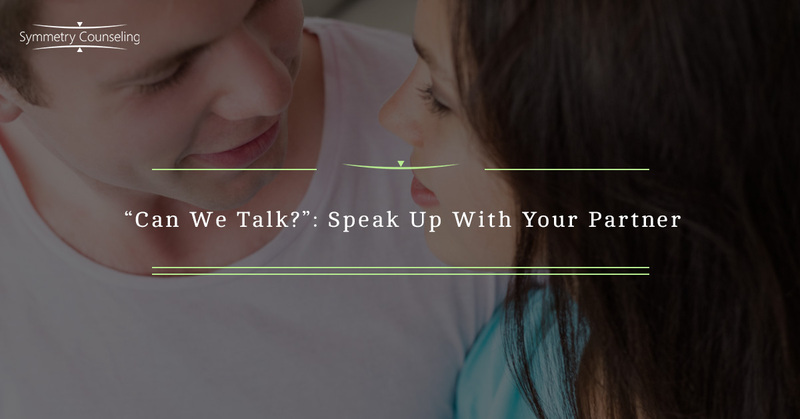 Hearing the phrase, “Can we talk?”, can often invoke an intense feeling of fear and uneasiness. Using your voice in relationships can feel scary as it requires vulnerability. Who would want to speak up when there is a risk of judgement, rejection, or conflict? While these fears are valid, they have most likely been shaped by previous painful experiences and interactions. It may be surprising, but failure to speak up can do just as much damage as these things you may be afraid of. When you don’t speak up with your partner, you are losing the opportunity to be vulnerable and intimate with them, thus preventing growth. Below are a few reasons you should use your voice in your relationship. There is a misconception out there that having a healthy relationship means no fighting. This is a belief that simply isn’t always true. Whether you are feeling like everything is good in your relationship or feel like it is crumbling, it is important to talk to one another. Yes, it may lead to a disagreement, but if you aren’t disagreeing, you aren’t talking at all. Talking leads to resolution. It is normal to talk to one another, have heated conversations, and even have conflict. We can get invested in making sure our partner is being heard that we tend to neglect ourselves and our needs. If you are feeling neglected in your relationship, the only way to change that is to tell them. Sometimes all it takes is one conversation with your partner about how you feel and things will improve significantly. If you don’t take the opportunity to say how you feel, resentment can build, and you may find yourself always getting disappointed. When you and your partner let your walls down, become vulnerable, and share feelings and emotion, you flourish. In these moments, you are learning something new about one another and what each of you need. For example, you may express that you feel loved and appreciated when your partner holds your hand but you feel they have stopped. The hope is that your partner will respond with understanding and make an effort to do it more moving forward. When you open up like this, your partner feels like they can as well. You are creating an empathetic and supportive environment, which is important to a healthy relationship. If your partner does not respond well (which is possible), you may consider seeing a couples counselor to learn healthy communication techniques. If you have waited years to tell your partner how you feel, it may feel too scary to do at this point in the relationship or even marriage. Being neglected for so long may result in infidelity, resentment, or depression. It is important to practice being open and transparent with your partner from the beginning as to lessen the chances of those walls going up. Speak up with your partner as soon as possible and you will see the benefits. If you are finding it difficult to speak up in your relationship and would like some support, it may be useful to connect with a therapist. Contact Symmetry Counseling at 312-578-9990 to set up an appointment with one of our very skilled therapists today!